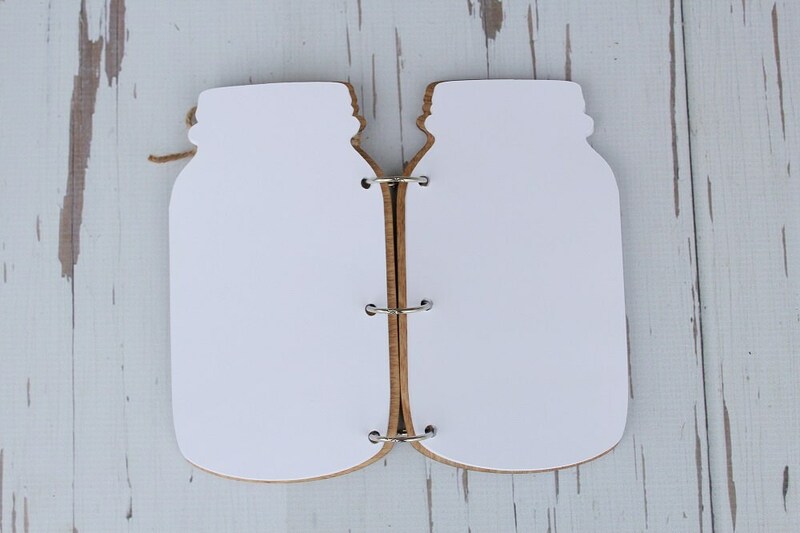 Super cute and unique mason jar book! 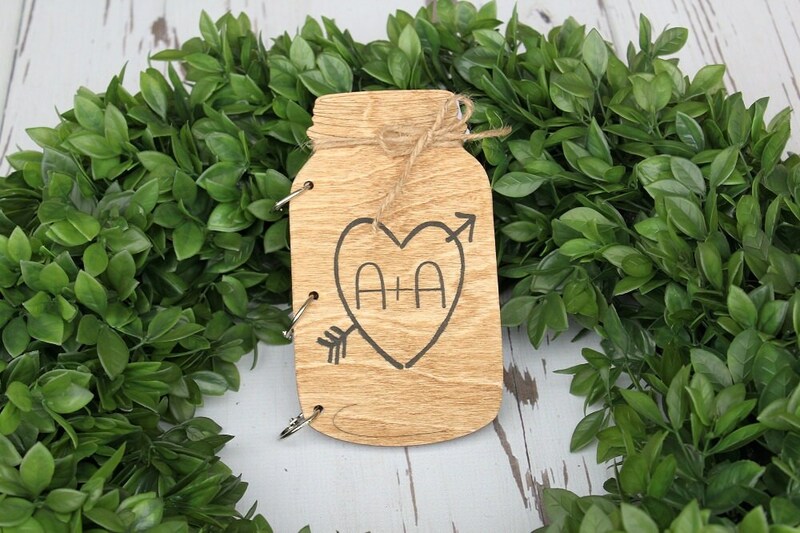 ♥ Hardwood front and back covers in the shape of a mason jar. 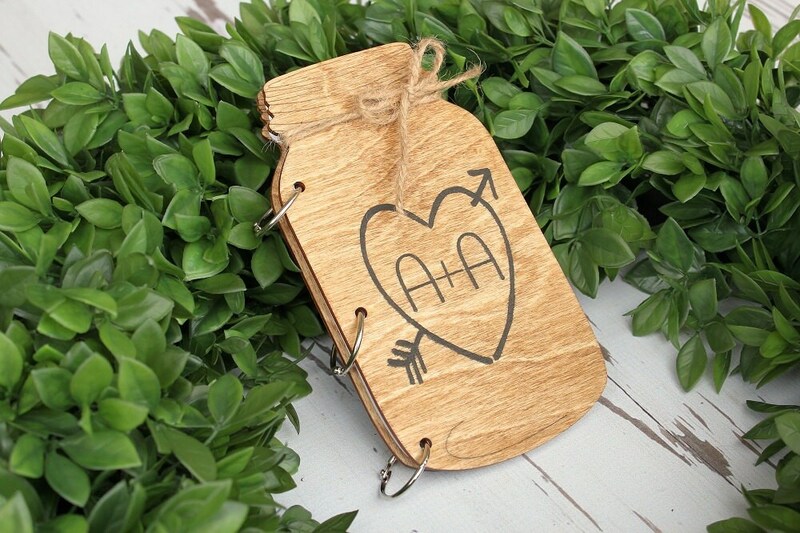 ♥ Wood burned heart and arrow w/initials. 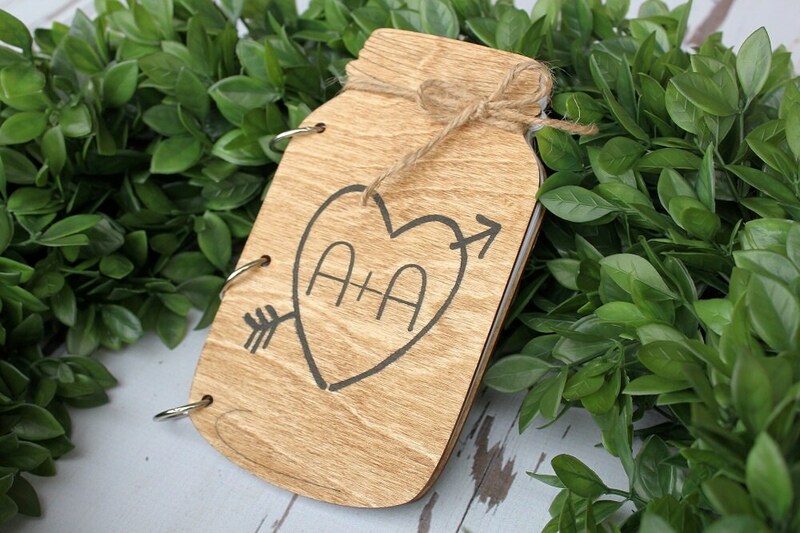 This adorable book can be used as wedding planner, guest book for weddings or bridal showers, advice book and more.! 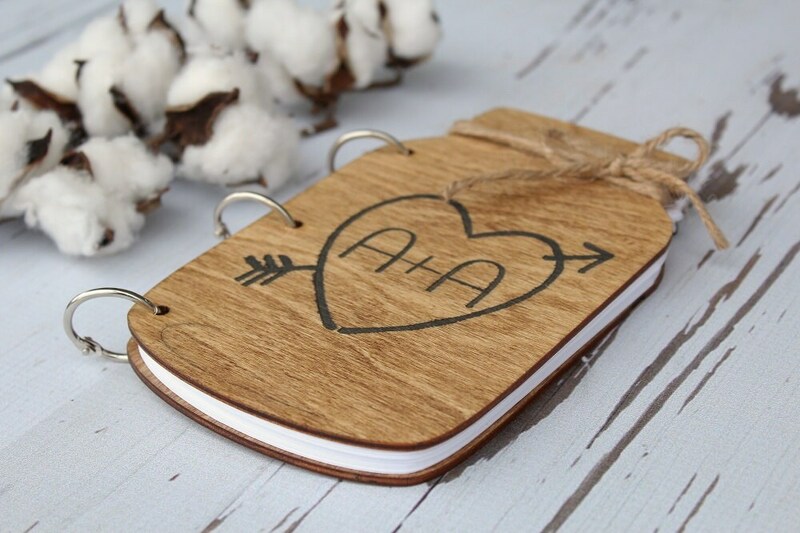 This Bridal Shower guest book turned out perfectly, and it was stained in Dark Walnut as I requested...beautiful! Can't wait to use this at my daughter's event later this year...Thank you very much! Love it! Can't wait to use this on our big day. Absolutely LOVE our guestbook....it's perfect in every way!! Thanks so much! !